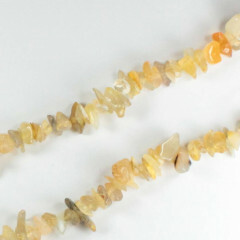 An interesting yellow / orange Quartz which is generally sold in either its crystalline natural form, or as a polished stone. 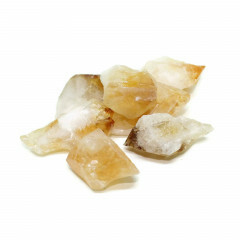 It is very popular with those who believe in crystal healing. Due to the rarity of the natural gemstone, a large amount of the stones sold online and in stores are actually heat treated Amethyst, which does look similar, but has slightly different shapes and tones. We sell both and try to make it clear when something is natural or unnatural. 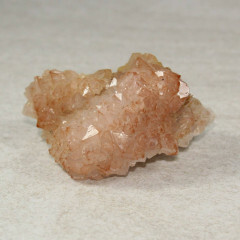 A well known pale yellow / orange quartz. 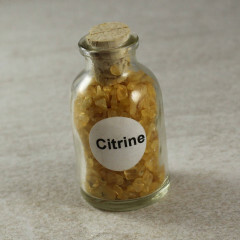 The name is derived from the Latin word citrina which means “yellow” and is also the origin of the word for citric acid – found in oranges, lemons, etc. As mentioned above, a large quantity of the gemstone that is currently sold is artificial, caused by heat treatment of Amethyst crystals. It is a stone of abundance and materialisation, attracting wealth, prosperity and success in all endeavours. It also encourages generosity and the sharing of good fortune with others. 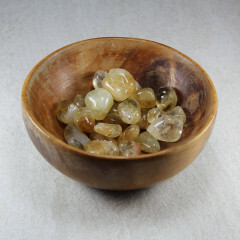 It is thought to open and energize the Solar Plexus and Navel Chakras. Although not a traditional birthstone, its golden colour is considered particularly lucky for those born in the height of summer.